Question: Our company offers extra unpaid parental leave of up to 18 months. However, we require employees to have completed a specific number of consecutive months of employment before they are eligible. Are there any liabilities with this requirement? Answer: Parental leave is governed by the provinces and, for federal employees, the Canada Labour Code and essentially provides the right to take unpaid time off of work to care for a new child. 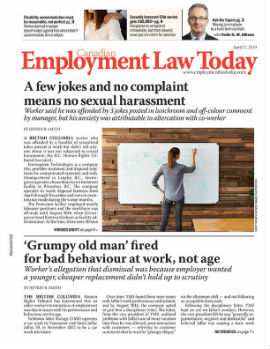 Each provincial statute has its own separate requirement in terms of the length of time the employee must be employed in order to be eligible for parental leave.